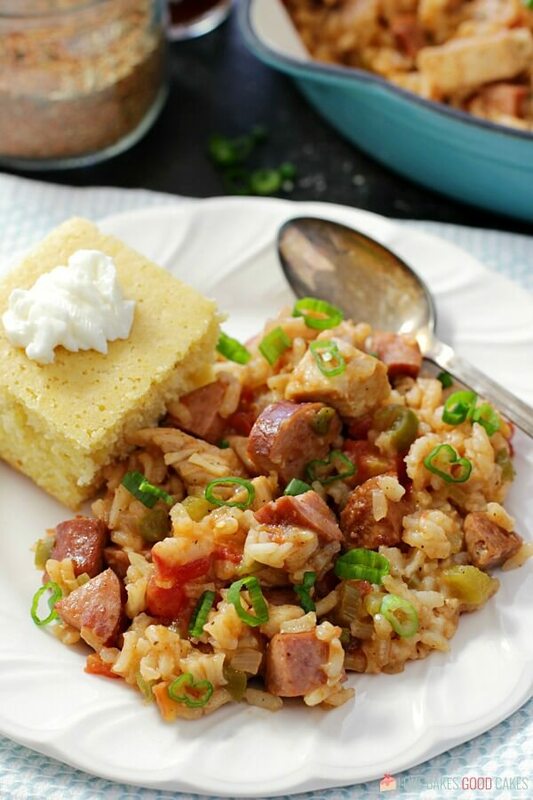 Enjoy the flavors of Louisiana with this one-pan Jambalaya! 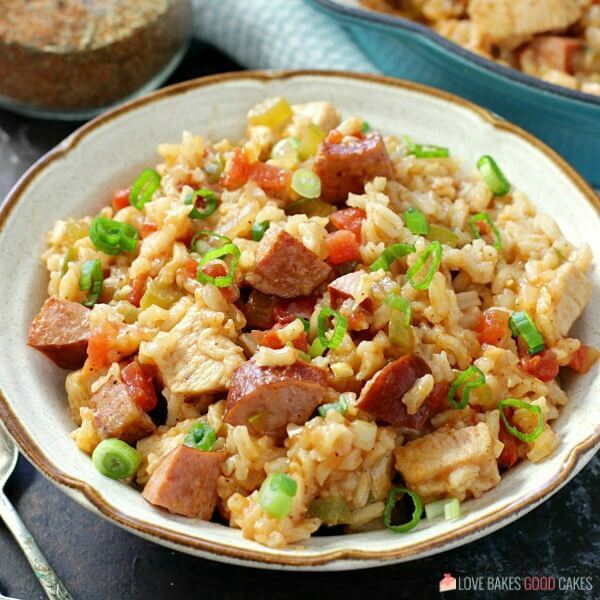 Perfectly seasoned rice pairs with sausage, chicken, and the Cajun Holy Trinity. I’m not sure what it is about rainy or cold weather, but it kinda makes me want to eat spicy food. Spicy food that I can have cornbread with. Two particular meals come to mind for me – Chili …. or Jambalaya. MmmmMmmm. This time, Jambalaya won! Obviously. 😍 It needs to be on your menu soon, too! Why is my Jambalaya rice crunchy? Not using enough liquid causes crunchy rice – or cooking it over too high of heat. Remember to use the correct ratio of rice to liquid as stated in the recipe. Also, be sure to bring the liquid just to a boil, cover the pan, then reduce the heat to low. Why is my Jambalaya rice mushy? Too much stirring can cause mushy rice as it releases the starch. Don’t be tempted to stir too much. Also, overcooking rice can lead to mushy rice. You want the water to be mostly absorbed, then remove it from the heat and let it steam to make the perfectly sauced rice. I firmly believe that this is one of those dishes that is best made when you’re going to eat it. Sure, you could make it ahead if you *really* want to … but you risk eating dried out or mushy rice. I’m personally not a fan. 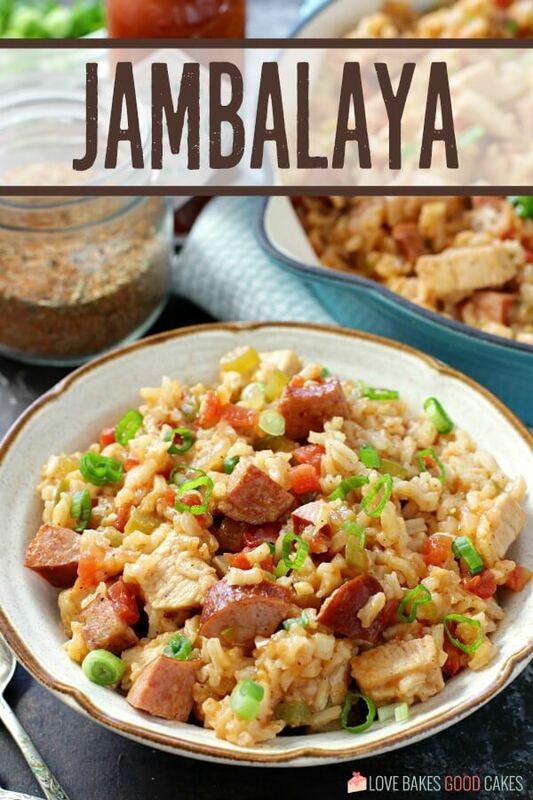 My kids don’t mind eating the leftovers, but I think Jambalaya is best when it’s first made. I don’t think I would try a big batch and then saving it for later. Truly, this recipe is so easy, take the time to enjoy it at its freshest and best. 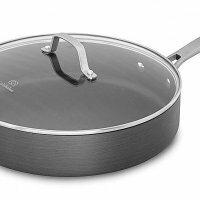 Heat the oil in a large deep skillet or Dutch oven over medium-high heat. Place sausage in the skillet and sprinkle with half of the Cajun seasoning. Cook the sausage until browned. Remove the sausage from the pan with a slotted spoon and set aside. Add the chicken to the same pan and sprinkle the remaining Cajun seasoning over the top. Cook chicken until slightly browned on all sides. Remove the chicken from the pan with a slotted spoon and set aside. Add the onion, bell pepper, and celery to the same pan and cook for 3-5 minutes or until tender. Stir in the garlic, tomatoes, Worcestershire sauce, salt, pepper flakes, pepper, and Tabasco sauce. Stir the cooked sausage, cooked chicken, and rice into the pan. Bring to a boil, reduce heat and cook for 20-25 minutes or until the liquid is absorbed. Remove from the heat and allow the rice to continue to steam for an additional 5-10 minutes before fluffing it with a fork. 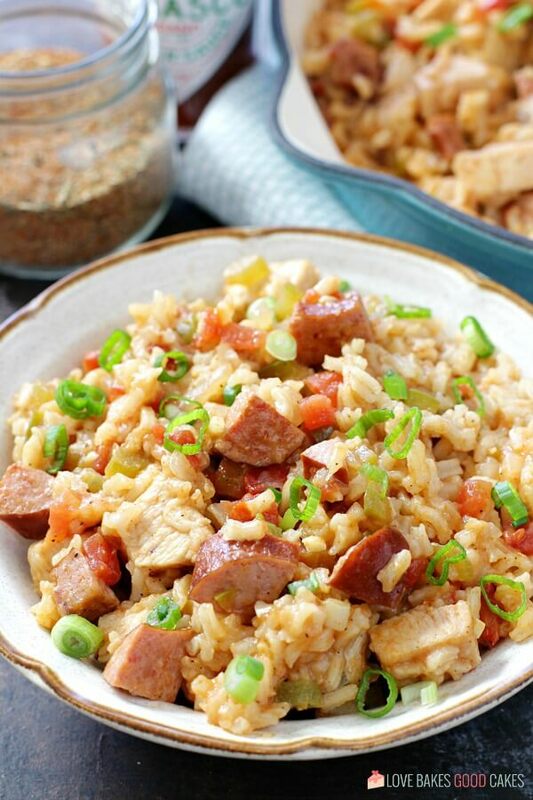 Jambalaya is traditionally made with sausage and some sort of other meat. Feel free to substitute an equal amount of seafood, pork, crawfish, or shrimp in place of (or in addition to) the chicken in this recipe. NOTE: This post was updated with new pictures and an updated post in February 2019. Okay, I am making this as soon as possible. It looks fantastic. Thank you for sharing it. 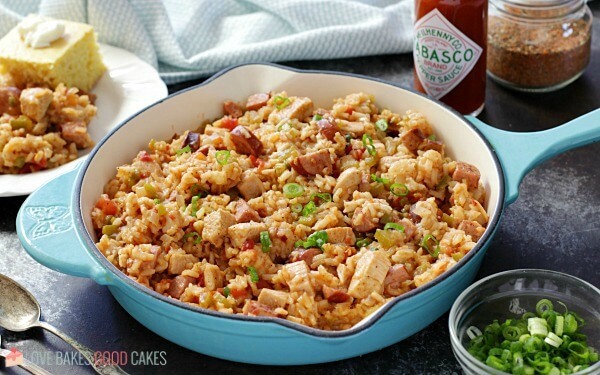 This jambalaya looks amazing – going to have to try it. I've never lived out west but that's pretty crazy they shut down schools for rain!!! Stopping by from Thriving on Thursdays! 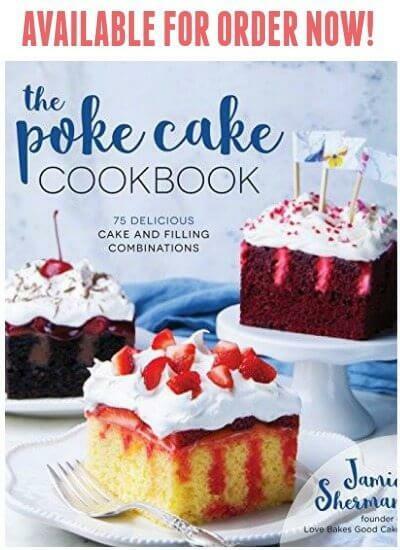 Jamie, this looks SO GOOD!!! 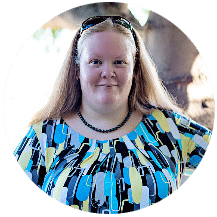 I'm pinning and can't wait to try! I'm from Mesa, AZ and my parents still live there (I moved to CA a few years back). This time of year is so crazy with the monsoons and stuff. Glad you got some much needed rain! 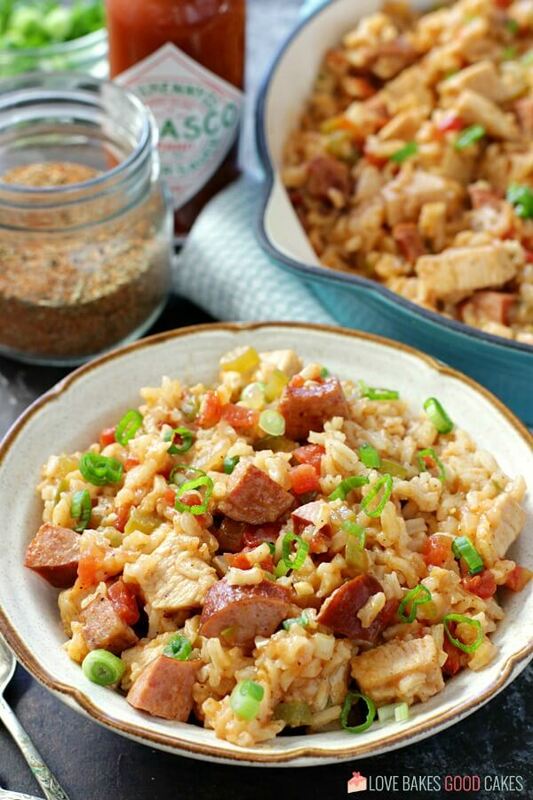 We just love Jambalaya and your recipe looks delicious! Thank you so much for sharing with Full Plate Thursday and have a great weekend! I just love this dish… one of my favorites. Nice recipe. definitely will have to try this! OH Jambalaya is so good! Rain does seem an odd reason to send kids home, at least in Arizona. I grew up in the north east and rain in the winter was a good cause because it would freeze and turn to ice. I'm guessing that doesn't happen down there, lol. Of course I love jambalaya. If I remember correctly, and I often don't, your pastalaya is how I was introduced to your blog. Maybe? Anyway I know I made it and we liked it! Wow, they think up the craziest laws don't they!! Rain?? Seriously?? It never rains in California, and we never got out of school when it did! Thank you so much for joining us and sharing at Best of the Weekend! Pinning to our party board, and we hope to see you again on Friday. 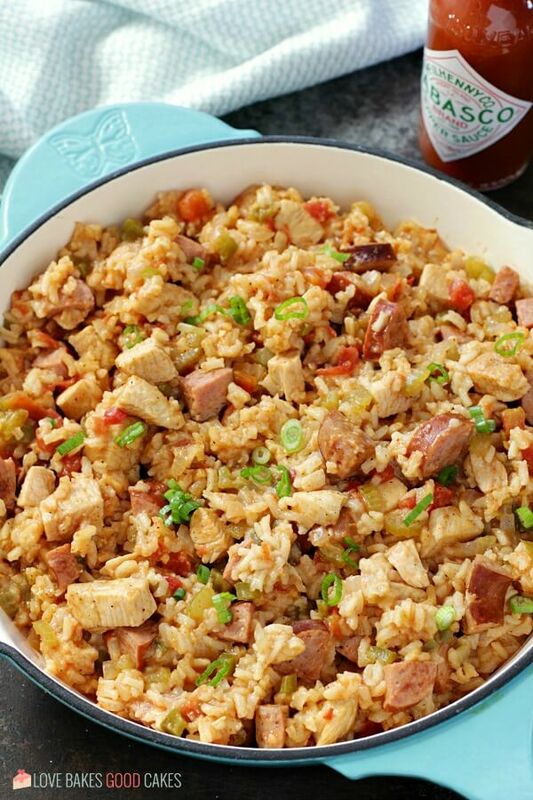 Great jambalaya! this will be a perfect dinner for Mardi Gras week!